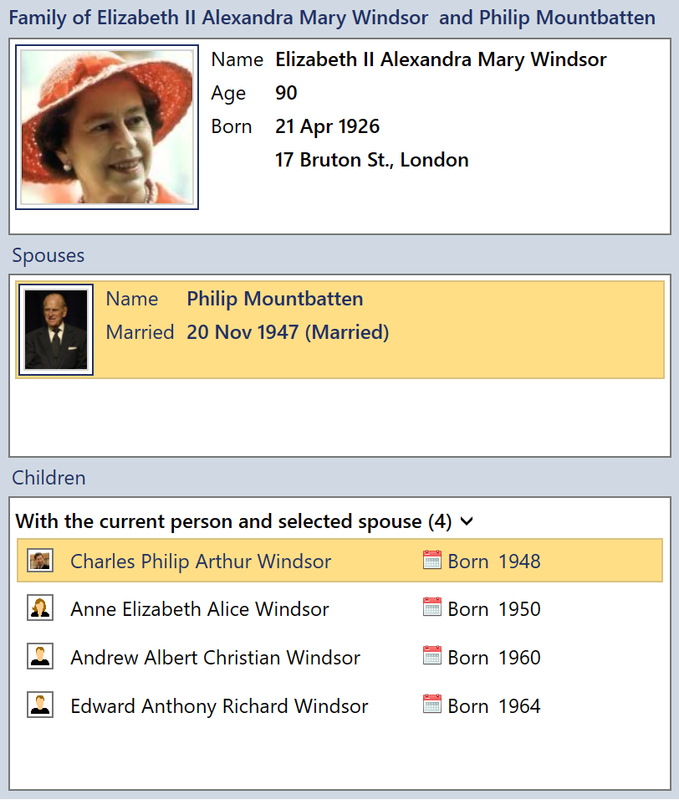 The Families view enables you to edit all the spouse relationships of a person and the associated facts and children. Choose a person from the list to edit their family. 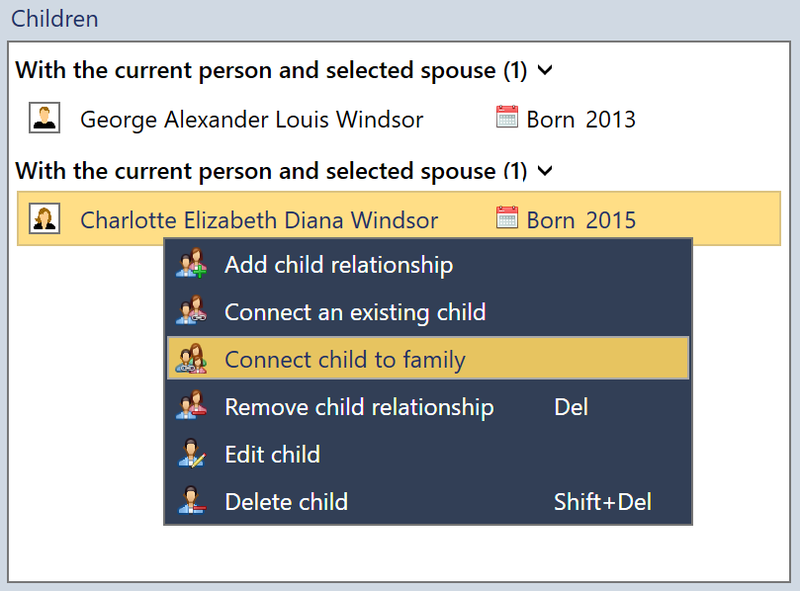 The family members section can be used to view, add, edit and remove people from the selected person's family. Fig 1. The family members. 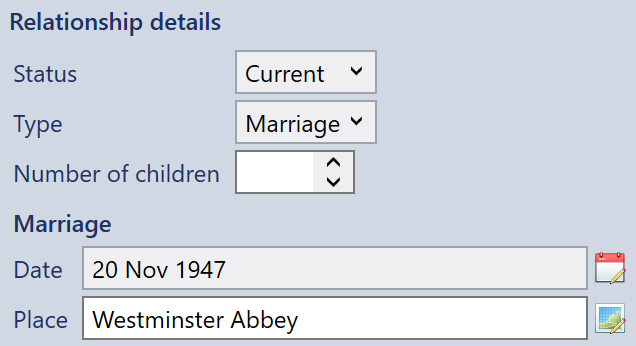 Select a spouse from the list to view the associated children and relationship details. 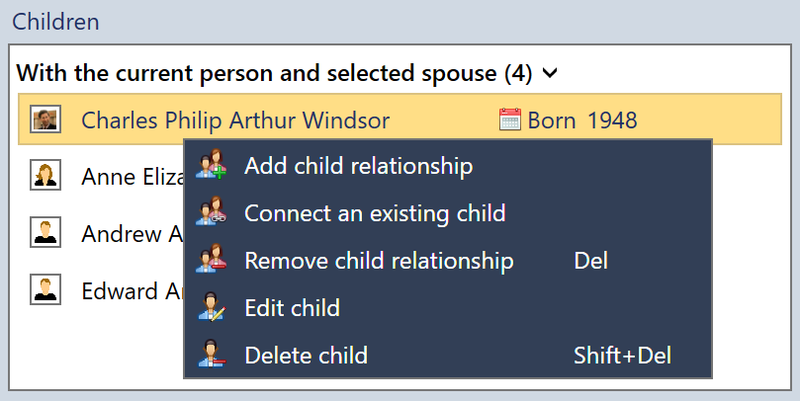 Use the right click menu to add, edit or connect a spouse. If you want to remove the spouse relationship but keep the person in the tree, use the 'Remove spouse relationship' option. To remove the relationship and delete the spouse, select 'Delete spouse'. Fig 2. Editing spouse relationships. Children associated with the current spouse are shown along with children for whom the selected person is their only parent. Fig 3. The family members. Children with a single parent can be connected to the current family using the 'Connect child to family' option. Fig 4. Connect a child to the current person and spouse. You can quickly update key relationship details such as marriage date and place. Fig 5. Editing relationship details. More detailed relationship facts using the facts list. 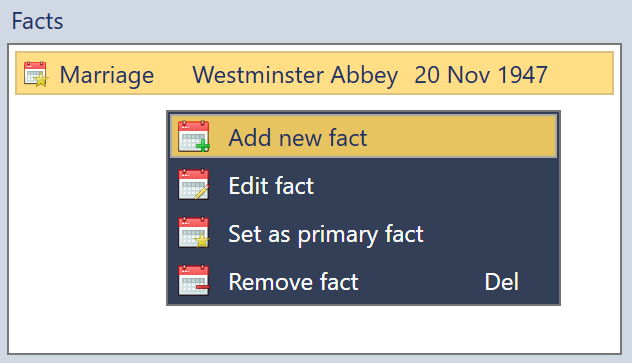 Use the right click menu to add, edit, remove or change the status of a fact. Fig 6. Editing relationship facts.